Made from polished aluminum, these economical name plate holders are practical and budget friendly. Available in silver, gold, and black. Don't forget your nameplates! 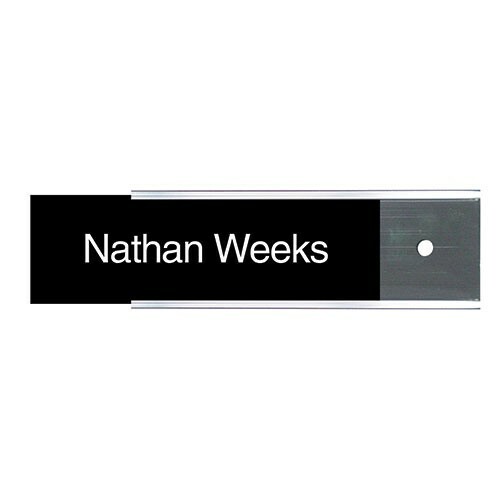 This name plate holder accommodates our 8"w x 2"h engraved nameplates (sold separately).